Chip McFarlane is a Master Coach, Peace Ambassador and Director of Training at the Institute of Executive Coaching and Leadership (IECL). As a Master Certified Coach, Chip has worked extensively in the non-profit industry globally. He has delivered leadership development programs and/or provided one-on-one coaching to organisations including Opportunity International, Mother’s Choice, NSW Cancer Council, The Benevolent Society, The Smith Family and The Ted Noffs Foundation. Chip was also instrumental in a ground-breaking leadership development program, wherein he partnered with a multilateral development bank to introduce a coaching culture internally. 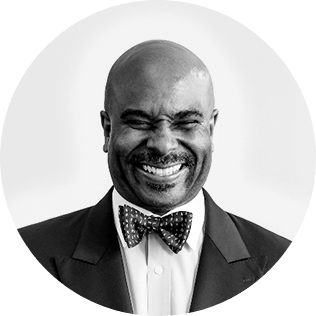 As one of Australia’s first and most experienced executive coaches and a master facilitator, Chip has the presence, energy and acumen to work with the most senior audiences, holding the room and provoking performance. Chip presents to executives on how to navigate the growing complexity of today’s volatile, uncertain, complex and ambiguous (VUCA) world and balance the paradoxical demands that affect leaders. His intercultural and wide-ranging background adds diversity and depth to his presentations. Chip has an engaging and robust presence, with the ability to gracefully raise the challenge for his audience. He can engage senior leaders, helping them find unity, clarity and the ability, strategy and skills to succeed in leading culturally diverse organisations.